Input your Tx (red needle) location and the desired Rx location (blue needle). VOACAP will plot a probability chart with time and band. 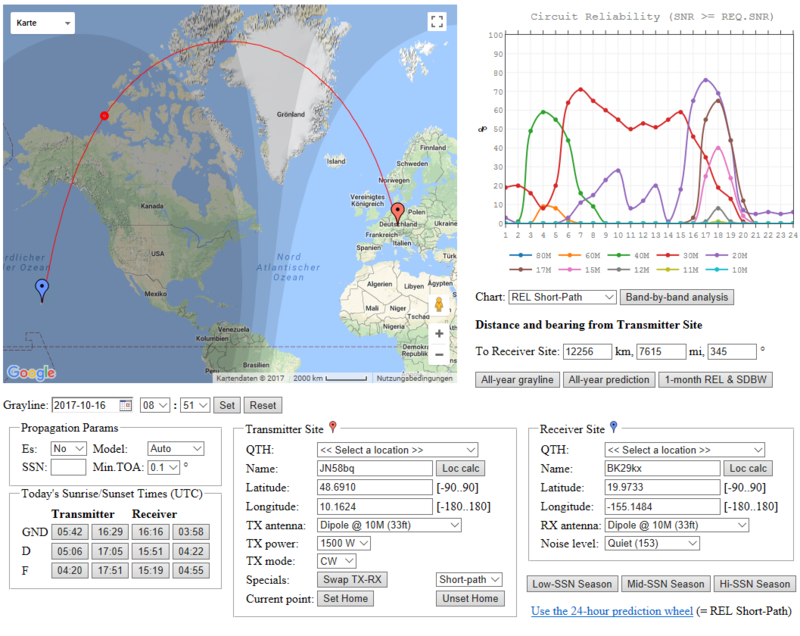 This tool provided by HZ1JW visualizes the behaviour of the propagation on the HF bands. Besides the information for the daily QSO chances, it is also a great tutorial to understand the interaction of the day-night cycles, the earth magnetosphere and solar activity. 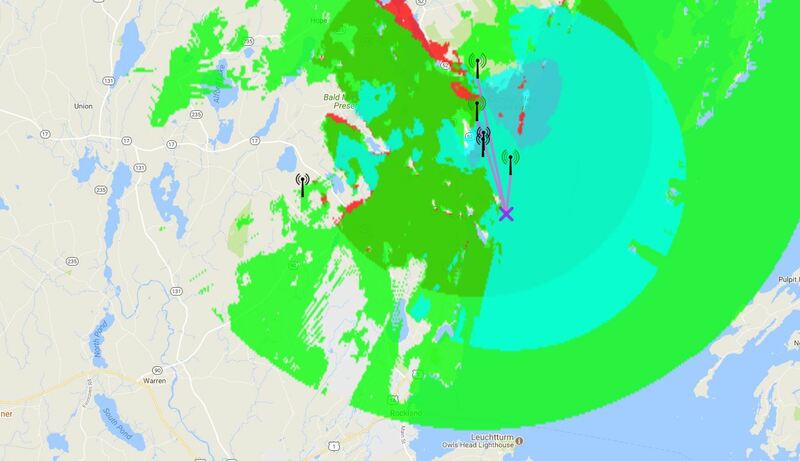 This platform is quite useful to show the dead zone. For the higher bands, the propagation waves are a good graphic tutorial for the hops. I do recommend this tool to explain the HF bands behaviour to ham radio novices. Simply select your QTH, time and band of interest.